Well, almost every myth, save this one: Guild is synonymous with Press. No, not quite; this would be too big a fraud to let lie. 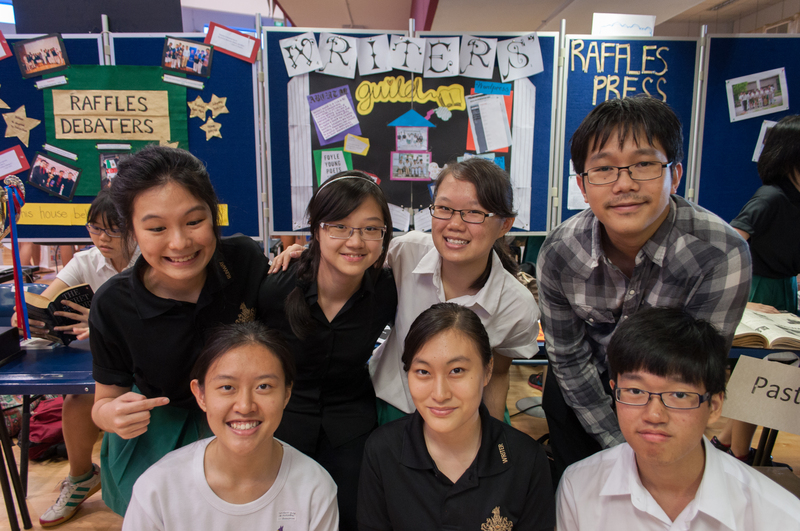 Raffles Press is the journalism society of the school, while Writers’ Guild is the creative writing portal into an alternate reality. Both involving the manipulation of the written word, the difference is as stark as that between Fact and Fiction. Writers’ Guild is characterised by its communion with words, where passionate individuals engage in all forms of creative writing – from prose to poetry to plays and even to anything in between. Should you ever use words to create meaning – or at times, vice versa – then this may be the haven which the Creativity inside your heart has been seeking out. In Writers’ Guild, members waltz the fine line between cradling a mere word, as if it speaks volumes, and the union of others to create poignant pauses on the page. More than placing individual words on a pedestal to dissect their serifs and kernings, they keenly analyse the world at large through the tip of a quill, drinking in the Elixir of Life, the Universe and Everything from an inkwell. In other words, they take small steps in trying to humanise each other and discover what it truly means to be Human through the lives of characters and personas. Becoming a member of the Guild and consequently a vassal for words and vessel of meaning, contrary to blatantly necessary disbelief, does not include the swearing by Shakespeare’s bald spot or the Jabberwocky’s jaws and claws. Conversely, it entails the exclusive inclusion to a wonderful writing circle, where constructive criticism forms the building blocks for discussion. Sessions serve as a platform for the sharing of works and writing techniques, with the intent to foster a conducive and unconstrained playground for creativity and critiques to frolic. In all, if you are searching for recluse in a parallel world of magic, consider taking a step through the unmarked door and joining the Guild on an unparalleled adventure into the unknown! If Raffles Institution were a human body, then the Shaw Foundation Library is the brain where all the knowledge and information is stored, then librarians will form the skull – protectors of the brain.